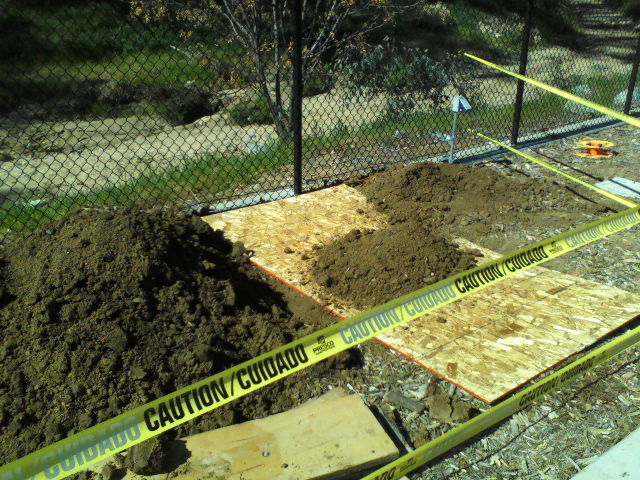 A close up of one of three holes being prepared. 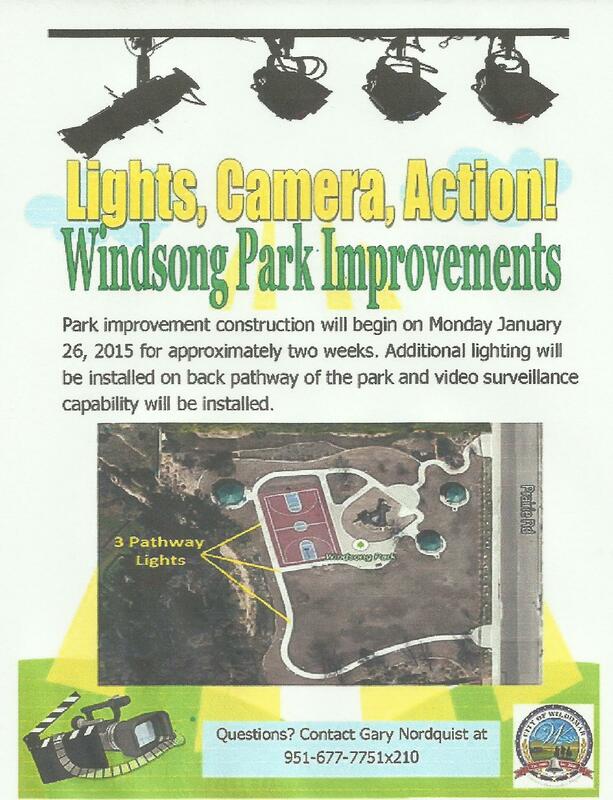 Long ago anticipated seems to be a key element to happenings in Wildomar. The inspection of all 3 of the Tot-Lots occurred almost 4 months after opening ceremonies, with another 5 months lapsing before their rehabilitation was started, yes there is more to do to bring them into full compliance but a least the work has STARTED. The irrigation pump at Marna was fixed 8 months after hydro-seeding, long after any chance of growing a somewhat useful grass surface. 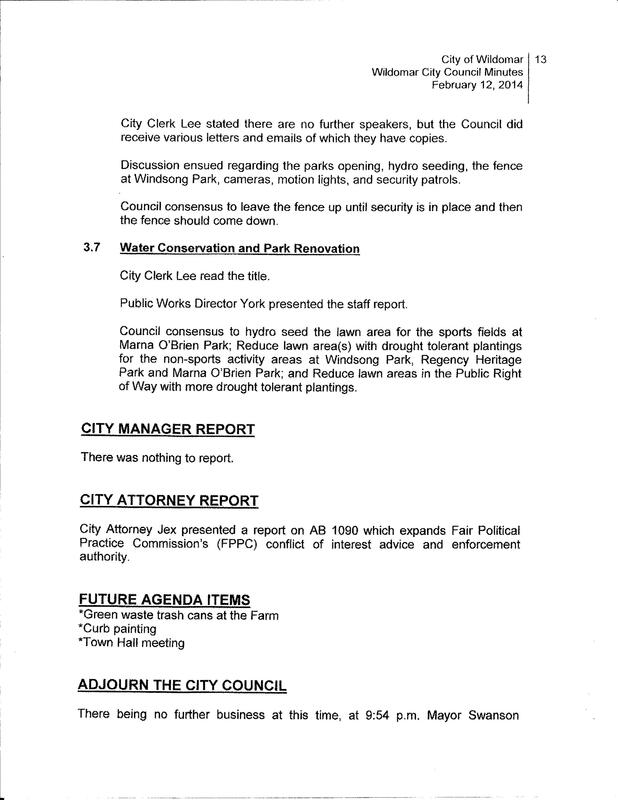 These lights as part of a security system, with increased patrols and on call private security along with a camera being the other portions were promised in a February 12, 2014 City Council Meeting. This number subsequently washed away in one of the rainstorms. 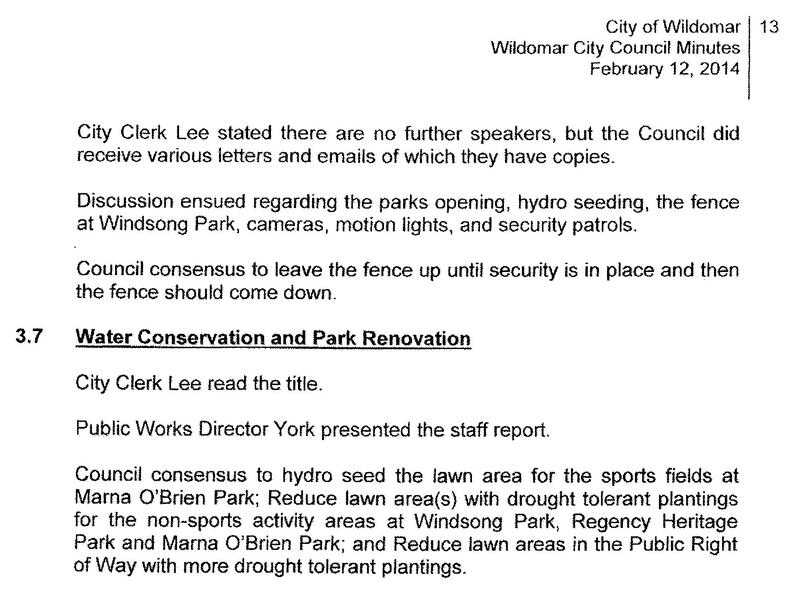 Numerous dates for the installation of security measures were given after the fence came down by everyone at city hall from the city manager to each of the council members, such as the end of next week, within a couple of weeks, by the end of the month. 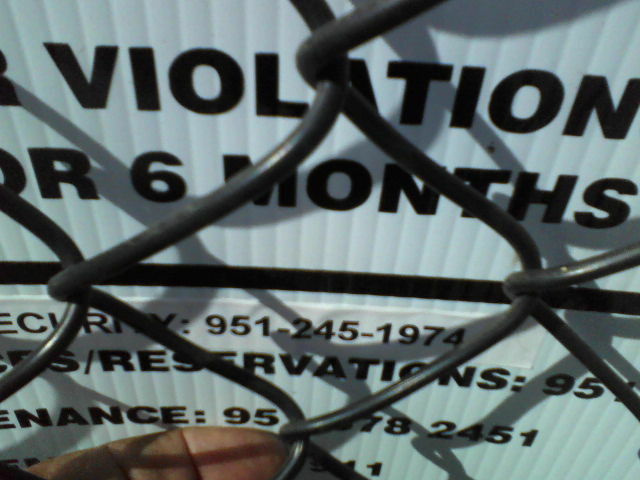 Then came the poster proclaiming a date certain. Leave it to a city that proclaims it wants to be sustainable along with wanting to accept WRCOG’s green initiative to reduce our carbon footprint to install old technology, the rest of the country is currently headlong into replacing the old with new and installing Adaptive LED lighting technology which uses far less power (up to 60% less), being able to power down after certain time periods and powering up when required such as when directed to by motion sensors. This unwillingness to ask is one of the reasons the electric bill at Marna O’Brien Park cost 6 times normal when Demand Charges are included. These demand charges currently add up to about $36 per KWH. Some will say, you are never happy with anything that gets done in this city , I say, your right things can always be done better. If nothing is said then the status quo will prevail and what’s the fun in that. 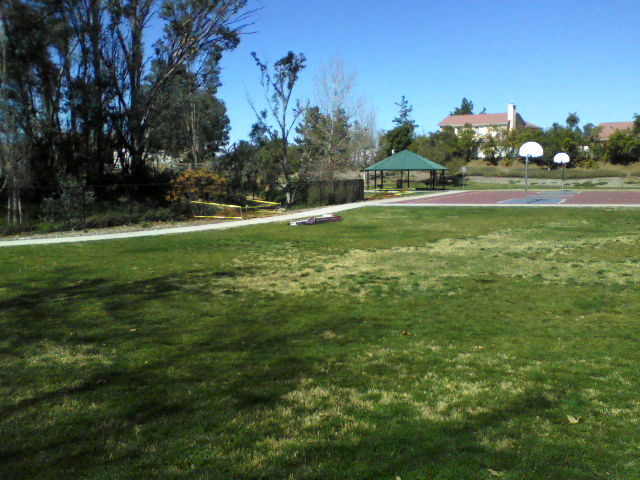 This entry was posted in Daily Ruminations, Future City of Wildomar, Parks and tagged Windsong Park on February 15, 2015 by Kenny.